Bud Gundy and Michelle Henagan on KQED television. 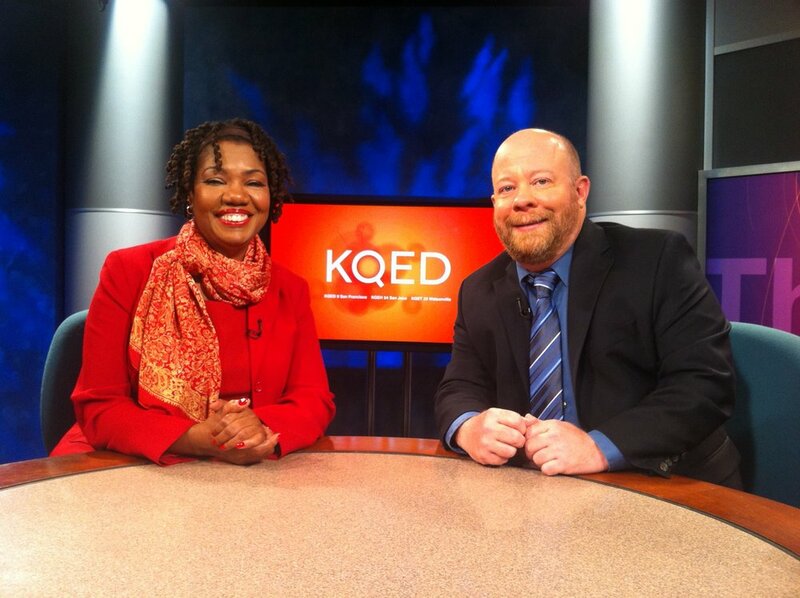 In 2005, I was paired with KQED's popular on-air announcer Michelle Henagan for what was supposed to be a pledge drive or two. Our chemistry was instant, and Michelle's razor-sharp wit made us a hit. I call her my pledge wife because we spend so much time together during the fundraisers. People even ask when we'll get our own show, but sparring with Michelle would be a full-time job! Bud Gundy and Michelle Henagan on KQED radio. 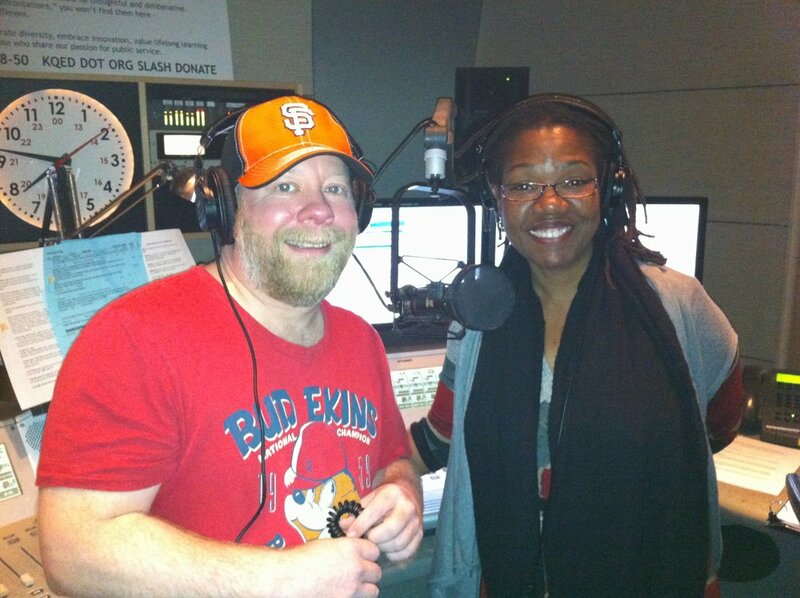 Michelle and I handle afternoon drive-time for the KQED radio pledge drives. It's more accurate to say that I show up and try to hang on while Michelle keeps our listeners laughing. In this photo, Michelle is in the other studio. I look relaxed but don't be fooled - you've got to be on your toes to work with Michelle!